Since its creation in 1991, INITIAL’s design office has become a reference in product development. Our expert team of engineers and CAD designers has an innovative edge in product design. 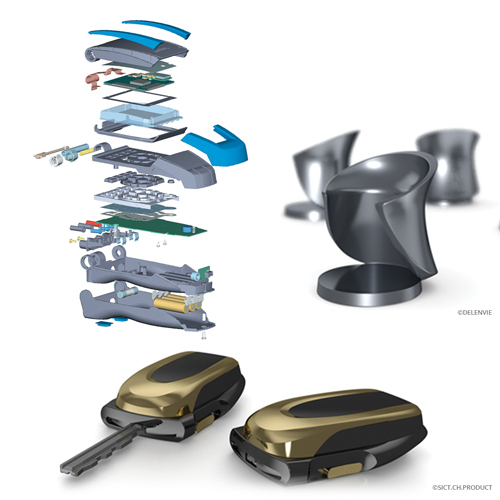 Your ideas come to life thanks to our CAD software (Pro/engineer, Catia, etc.). Our responsiveness is essential to your projects. Thanks to our in-house production capacity, you can be sure to obtain quality prototypes to create your design validation models. Initial’s experience provides you with the guarantee of an expert partner from start to finish. From your specifications (or your brief) and all the way through industrialisation, we offer all the solutions you need to complete your project. Thanks to our experience, we respect your aesthetic, economic, marketing and technical constraints. Creative proposals to make your designs and products more attractive. Aesthetic design research to improve your product’s appeal. Drawing up specifications, feasibility & preliminary studies as well as behavioural & optimisation studies. Digital simulations of your product to validate its design. 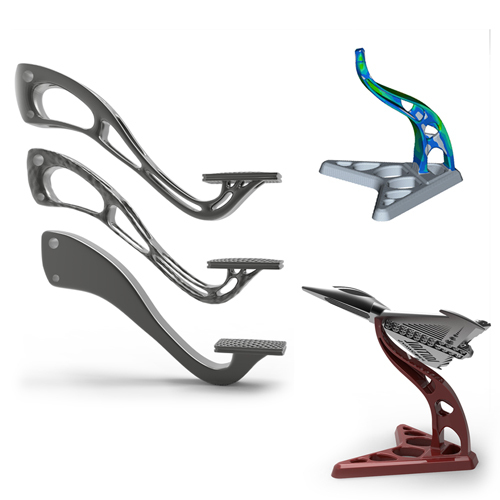 The shape and topology of your parts can be optimised according to your constraints to reduce material used and create new designs.